The Hook is a wall hook with three suspensions. The hook by Hay is made out of one piece and it has a clear design without edges and breaks. Line Depping designed the Hook. 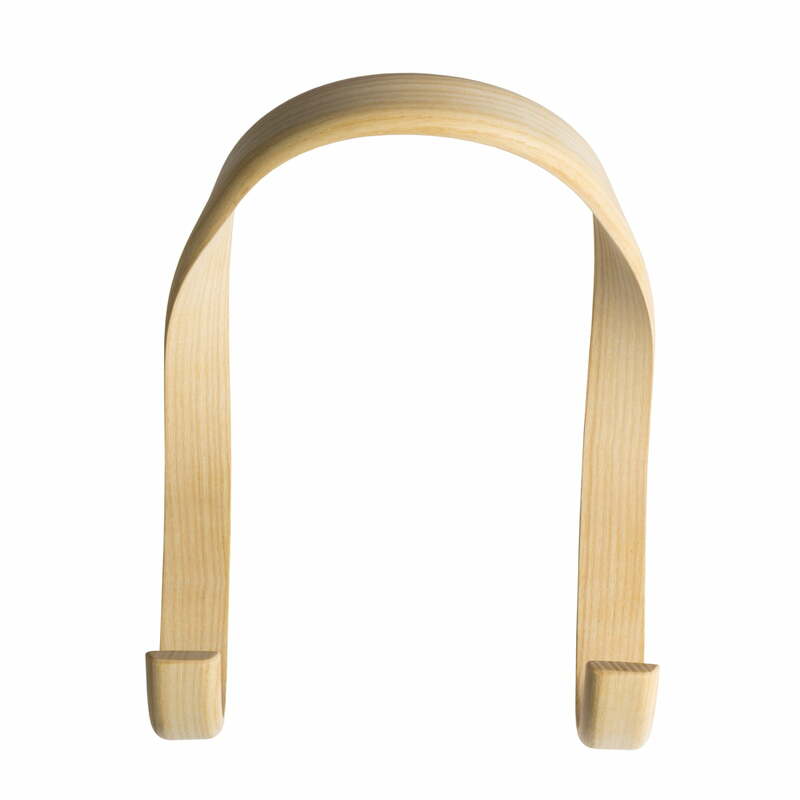 The wall hook of damped and bent ash wood has a suspension at the backside, which hides directly behind the Hook. 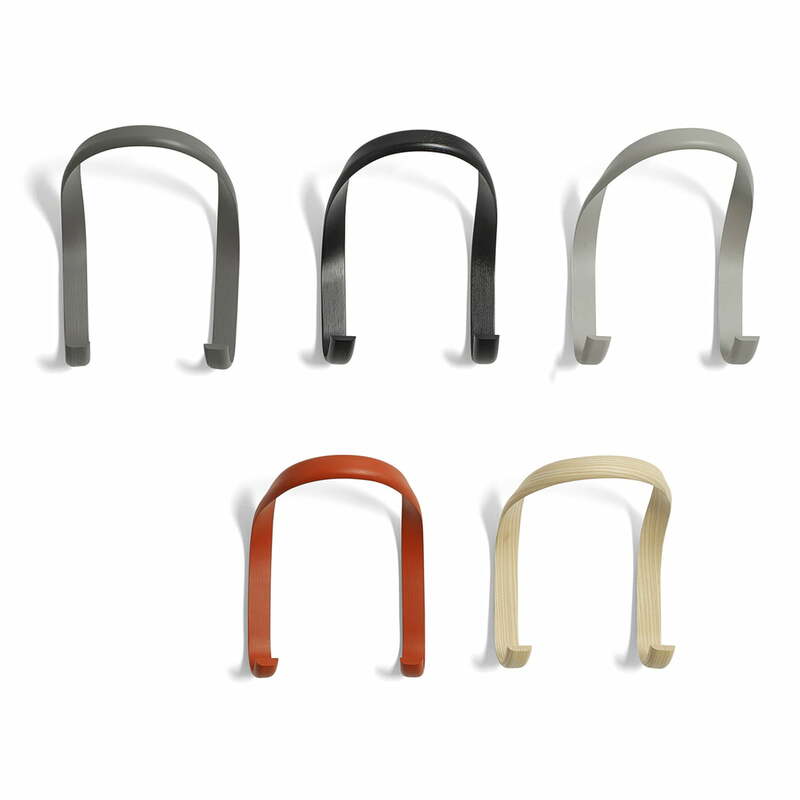 The bottom hooks of the Hay Hook resist 6 kg each one and they are ideally suitable to hang jackets or coats. 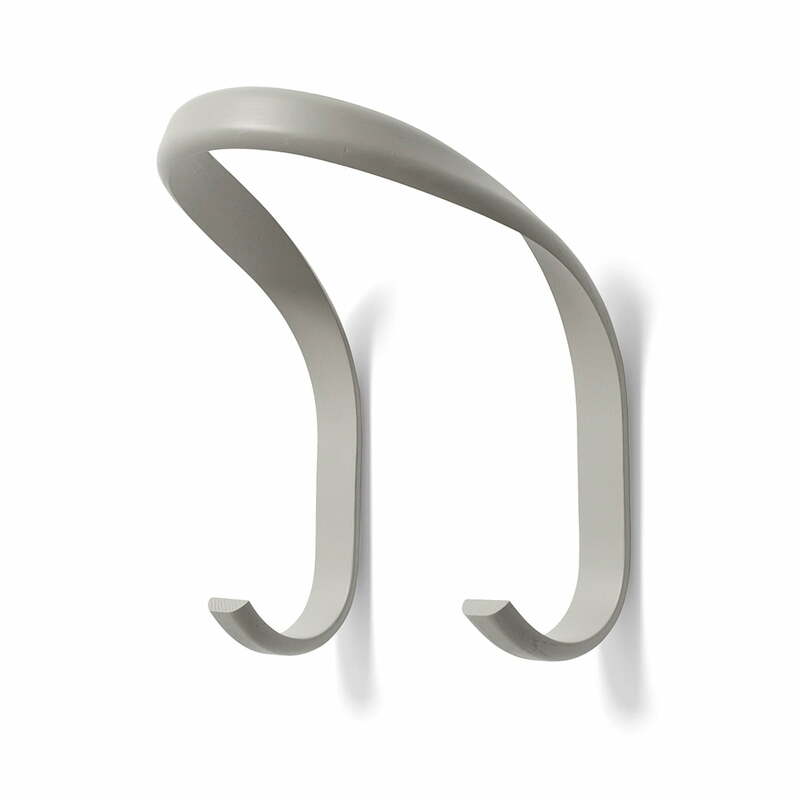 The topside hanger of the Hay wall hook is suitable for scarves or hats – it resists up to 2 kg. Since the Hay Hook is a natural product, it shouldn’t be where air humidity is too high. 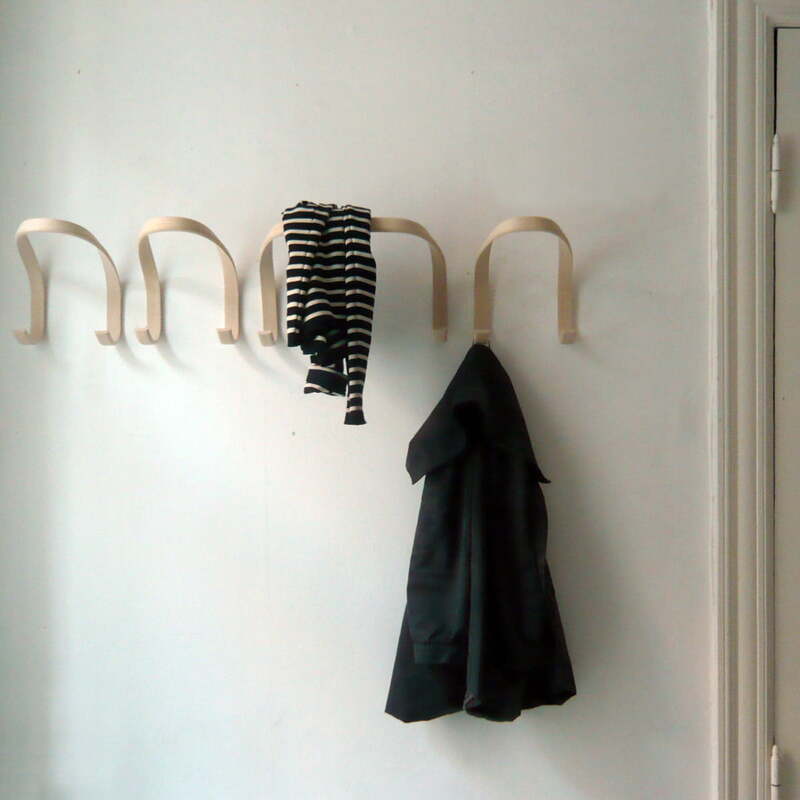 The wardrobe hook should rather be in entrance halls than in bathrooms or outside.